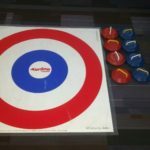 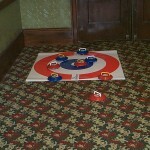 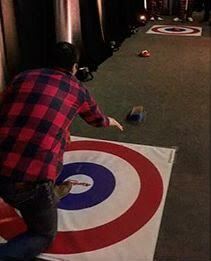 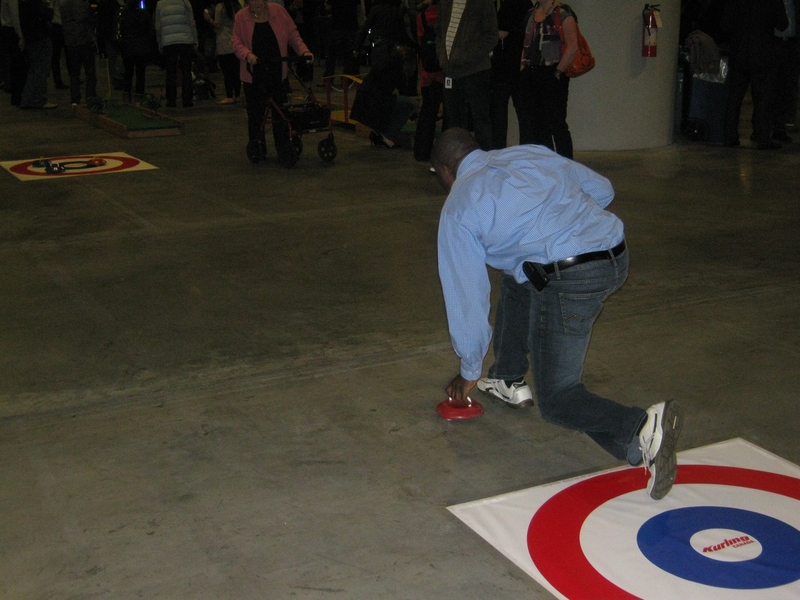 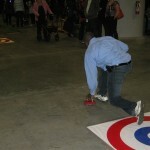 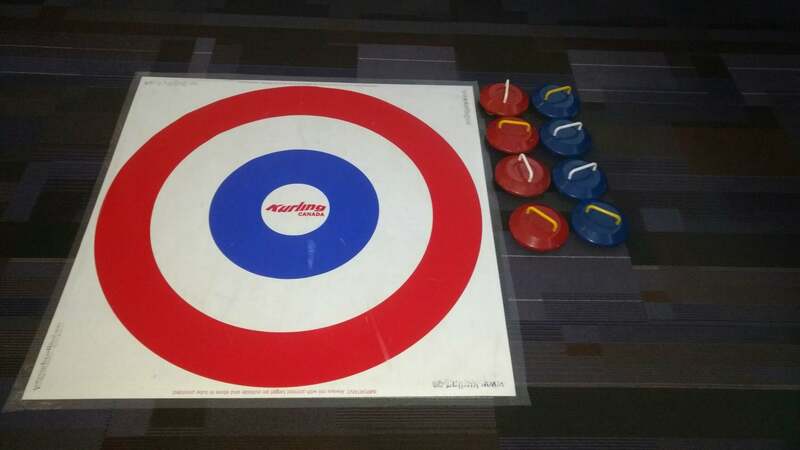 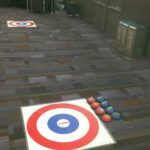 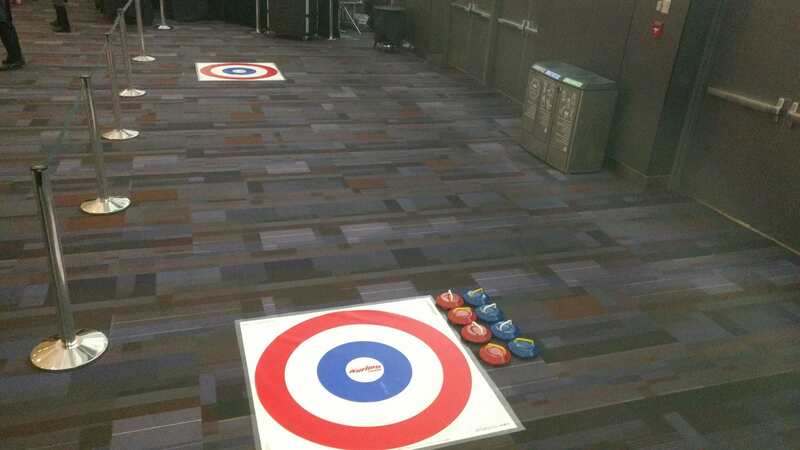 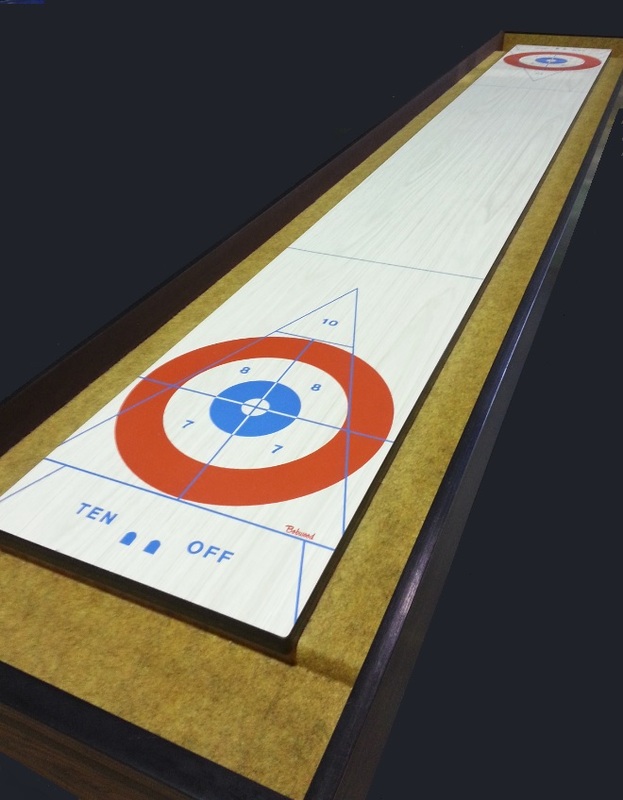 No ice needed for this indoor, Iceless Curling game! 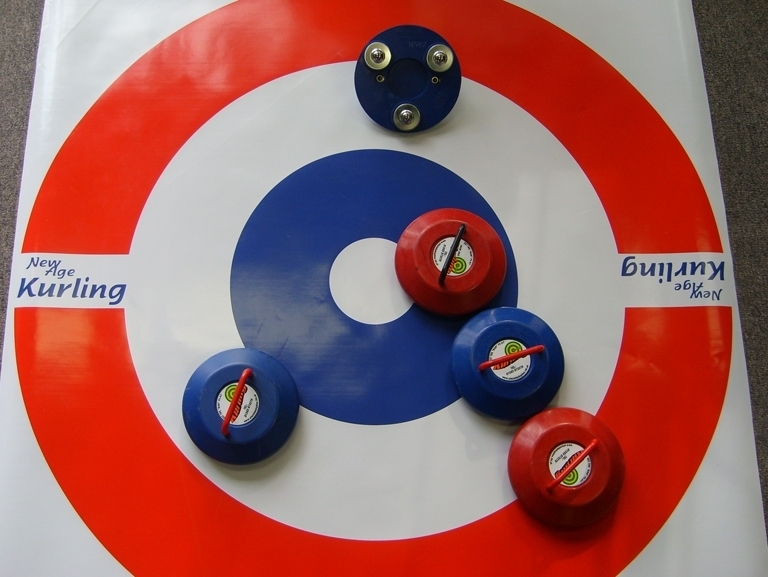 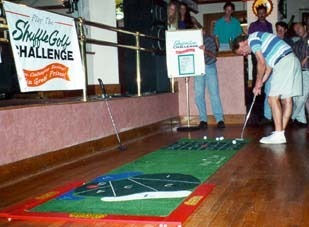 Two “house targets” are placed at each end of your playing area. 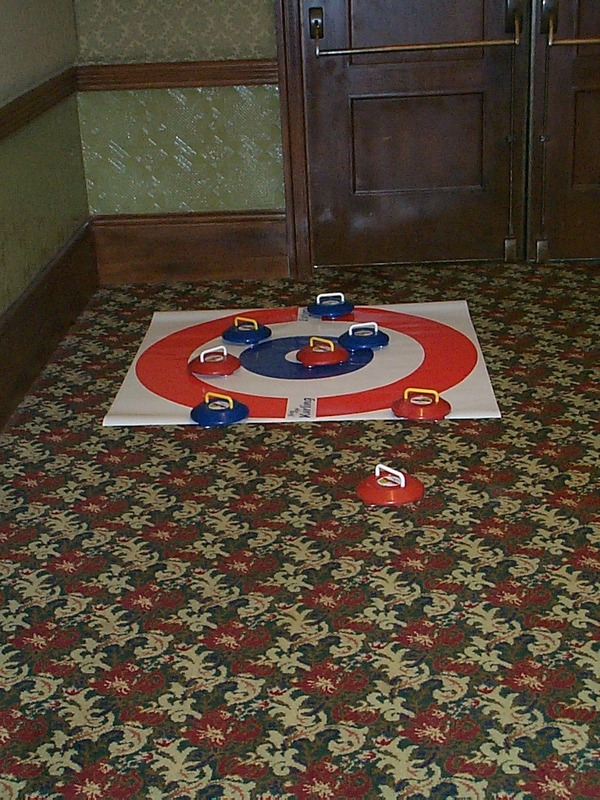 The weighted rubber stones glide easily on bearing rollers along any smooth hard surface or short nap carpet. 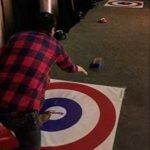 This game can be played by singles or in teams!